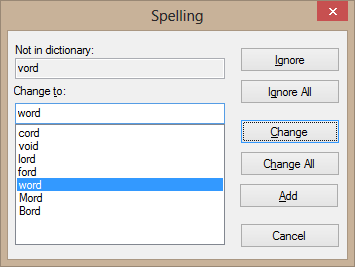 For the most of the spell checkers (Addict 4, ExpressSpellChecker, HunSpell, ASpell) two types of dialogs are available: a traditional dialog and an MS Word-style dialog. 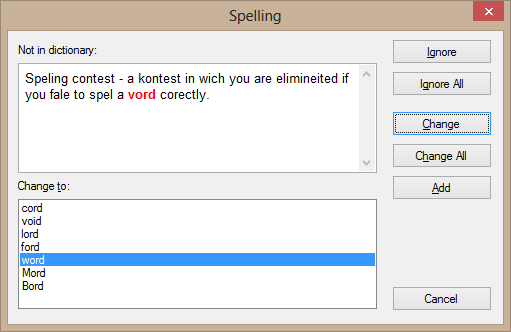 The components can perform spelling check in background and mark misspelled words with special underlines. This process is called live spelling check. A compiled demo project is included in “TRichView Showcase”. 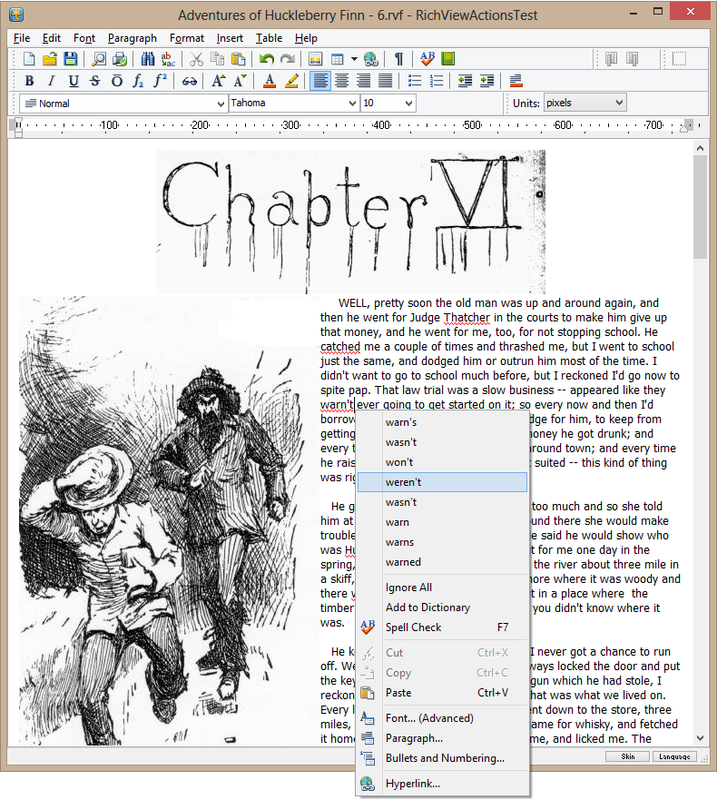 This demo shows how to use Addict 4 in TRichViewEdit: live spelling check, spelling check with a dialog, autocorrection on typing (“autocorrect.adu” must be included in the list of dictionaries).